Christian Women Online's Laurel Wreath chats with Jeanette over Tyndale release Betrayed. Publishers Weekly: "A gratifying twist toward the end will ensure that readers make it to the final pages. Library Journal: "Windle, who grew up in Colombia as the child of missionary parents, incorporates realistic details involving Guatemala’s politics and stark social conditions into her engrossing story, which will attract readers who enjoy international suspense thrillers." 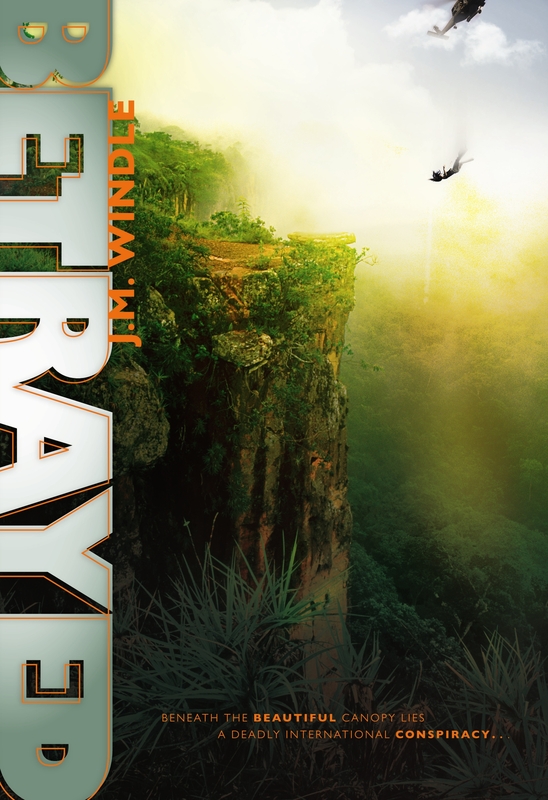 Shelf Awareness: "Betrayed is not only a good mystery, but a good primer on the current state of much of Latin America and the legacy of our involvement there. And for those readers and booksellers who might be put off by the Christian slant: on the one hand, it's gentle, like the hymn that runs through it. On the other hand, it's thought-provoking, also like the hymn, and gives the story a tension beyond the social and political." World Magazine: "In this thoughtful and taut thriller, sisters Holly and Vicki Andrews both end up working in Guatemala, one as a veterinarian for a charity that preserves endangered species and the other as an investigator for a foundation considering a grant to a faith-based orphanage." In the Library Reviews: "Detail and intrigue make this story a page-turner...The details are so exact, these same agencies thought the author was privy to classified material." Bookworm Review: "Above all, Betrayed is an examination of compassion as well as cruelty, corruption as well as sacrifice." Baptist Life Magazine: "Windle beautifully intertwines faith throughout the book as Vicki struggles with her past, with her fears and with her God." Buddy Hollywood Reviews: "Life, death, and innocence lost, Betrayed is a must read for globally-minded believers." Christian Fiction Blog Alliance: "This very talented writer has written a suspenseful, thrilling story that very naturally incorporates some of the most powerful lessons of faith I’ve encountered in fiction in some time!" Christian Book Previews: "Betrayed is an intense, interesting story that exposes some of the harsh realities in the world beyond the borders of the United States. The background information is thick and may be difficult to grasp at some points, but is easy to pick up once the story gets moving. Fans of mysteries and international thrillers will greatly enjoy this book." Christian Review of Books: "Betrayed reveals the U.S. involvement in Guatemala in the last few decades, how the decisions of few in powerful positions can and do change the lives on millions, affect the balance of power between nations, and alter the course of history." Deenas Books: "Betrayed is the latest in a long line of award winning novels by J.M. Windle that will leave you breathless with the suspense and amazed at the painstaking detail. In fact, I've heard it said that her novels ring with such authenticity that she's been questioned by authorities on just how she gains her knowledge! Harriet Klausner: "Betrayed is an exhilarating thriller that shows how people in power who are corrupt can make an entire nation fear and obey them in order to avoid death and torture." Taking The Challenge Blog: "Find your favorite reading place and settle in, because once you start this book you won't want to quit reading until you've finished it." Nora St. Laurent, The Book Club Network: "Jeanette gives you quite an insightful view of Guatemala City’s internal government structure and how life works for them over there. She weaves quite a suspenseful story that involves many big players such as the CIA, Guatemalan police and the American Embassy to name just a few." Relz Reviews: "The characters are diverse and well developed, complex in both personality and motivation. Intrigue, danger and a subtle and unexpected romance are seamlessly interwoven with a message of God’s love and faithfulness in the face of unimaginable human suffering." Texomaland.com: "Windle has written a thriller that manages to keep your attention from the beginning to the end of the book. Betrayed is one of the books you will want to keep on your bookshelf because you may find yourself picking it up to reread."